The Centennial Airport is home of many Leer Jets. 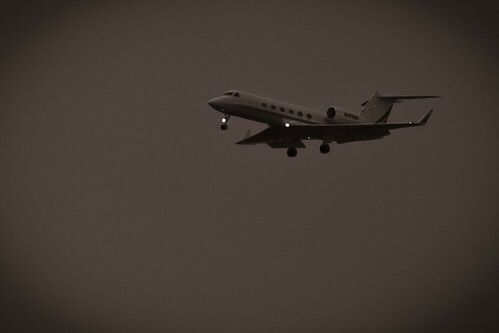 Tonight as I was leaving work, this one was landing - flying right over the road I was driving on. We had a big storm coming in at that moment with big rain drops and nasty clouds. Glad I was on the ground and not up there.